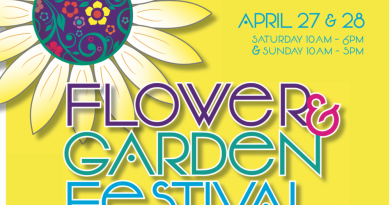 The trees at Morven Park were swarming over the weekend—not with birds or insects, but professional arborists showing off the best of their trade. 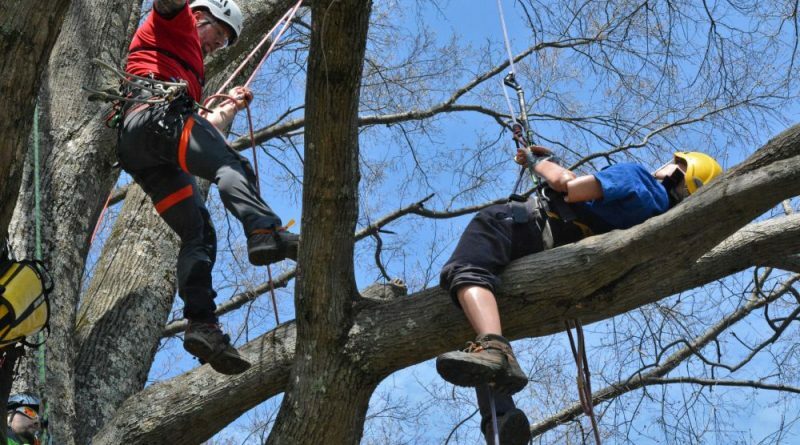 The Mid-Atlantic Chapter of the International Society of Arboriculture held its Tree Climbing Championship and Trade Show at Morven Park on Saturday, April 6 and Sunday, April 7. Professional tree climbers competed in climbing, throwing lines, and rescuing an injured climber, all suspended dozens of feet in the air. In one event, competitors clambered and swung all around the sprawling branches of a tree, showing off their agility and ability with various saws and equipment as they raced against the clock. In another, they raced up a tree to rescue a dummy representing an injured climber before emergency medical services arrive. The overall winners were Jocelyn Lohse of Riverside Outfitters and Drew Dunavant of Truetimber Arborists. Dunavant was also the winner of the Masters’ Challenge. Jeff Inman of Elowen Arborist Company took first in aerial rescue, the ascent event, and the belayed speed climb. Dunavant took first in throwline and work climb. The Mid-Atlantic Chapter of the International Society of Arboriculture is a nonprofit professional organization of arborists, urban foresters and others who work caring for trees across the commercial, utility, municipal, and educational fields. The Mid-Atlantic Chapter includes Maryland, Virginia, West Virginia and the District of Columbia, and arborists from the across the region took part in the contest over the weekend, both as competitors and judges. The event was also made possible with the help of around 50 volunteers. The organization encourages people needing tree work to hire a certified arborist, who has completed the ISA’s voluntary assessment to demonstrate their level of knowledge of the latest technique. They can be found at GoodTreeCare.com. As the winner of the master’s challenge, Drew Dunavant will go to the International Tree Climbing Championship.